Fortman Cline offers post-transaction advisory services, including assisting clients with negotiations of key contracts, consulting on post-acquisition business turnaround strategies and general assistance with implementing and improving finance and corporate governance functions in acquired firms. 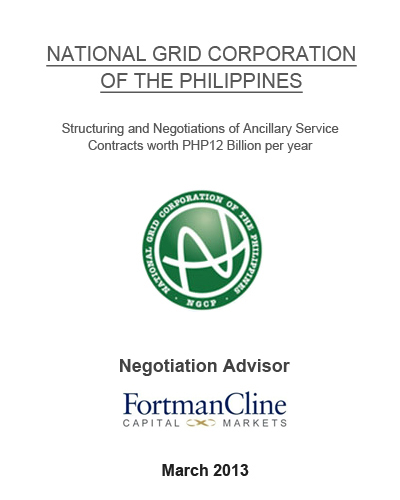 In 2013, the firm successfully assisted National Grid Corporation in structuring and negotiating various Ancillary Service Contracts worth US$300 million with power generators and obtaining the necessary government regulatory approvals. The firm is also currently assisting San Miguel Corp. in implementing various business turnaround initiatives in recently acquired subsidiary Philippine Airlines.